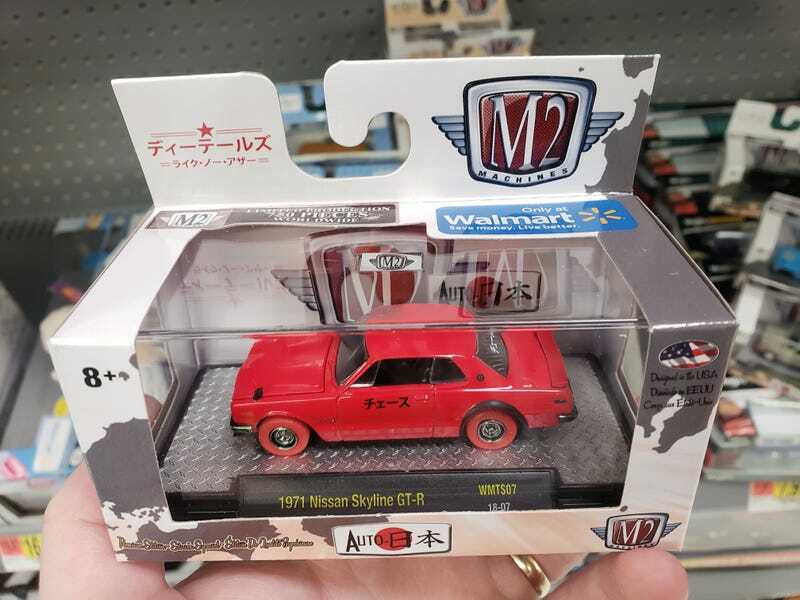 In my search for the new M2 Auto-Japan series, I got lucky with getting to crack three fresh cases (plus two more of the new VW series) over the last two days. But that’s where my luck would end, with no chase appearing in any of them. I decided to try a quick stop at another Wal-Mart that’s sort of on my way to work, if I include a minor detour, lol. I walked in and saw the two stacks of Japan’s finest classics already sitting on the shelf. Lo and behold, the bright red Skyline chase is right there waiting! Woohoo! As I was leaving the diecast aisle, a Wal-Mart employee was rolling out a new shipper. I asked if it would be ok for me to look through the cases and help her get the shipper set up. She was amazingly nice and let me open up all 12 cases. Out of those cases, I managed to find not one, but TWO of the Bone Shaker Ultimate Chase Super Duper Treasure Hunt of all Treasure Hunts, or whatever the new name is, lol.